A sweet, creamy mayonnaise with tangy undertones. Kewpie is a brand of mayonnaise made by the Kewpie corporation. It’s made with rice vinegar rather than distilled vinegar. It also has a distinctive umami taste because of the addition of Dashi stock to the recipe. Kewpie mayonnaise is one of the most popular condiments in Japan, where it’s used as a dipping sauce, sushi topping, and even as a replacement for cooking oil. 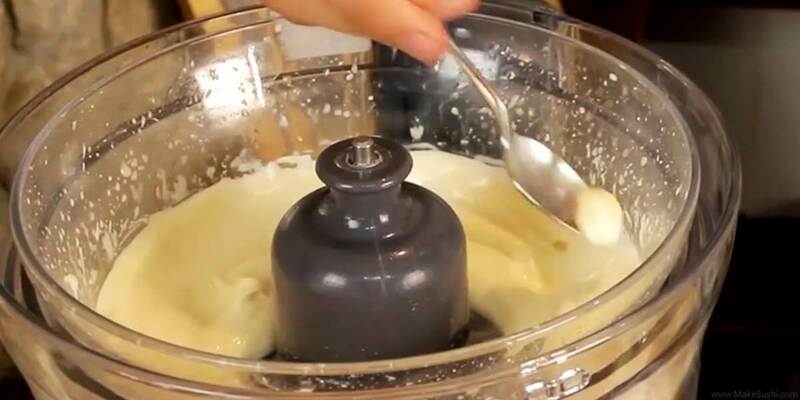 Here’s a simple recipe to create your own home-made Kewpie mayonnaise. Put one tablespoon of finely ground sugar in a glass mixing bowl, along with two tablespoons of freshly squeezed lemon or yuzu (a highly aromatic citrus fruit from East Asia that tastes like a mix of lemon, mandarin and grapefruit). Add two tablespoons of rice vinegar, followed by half a teaspoon of (Japanese) mustard. 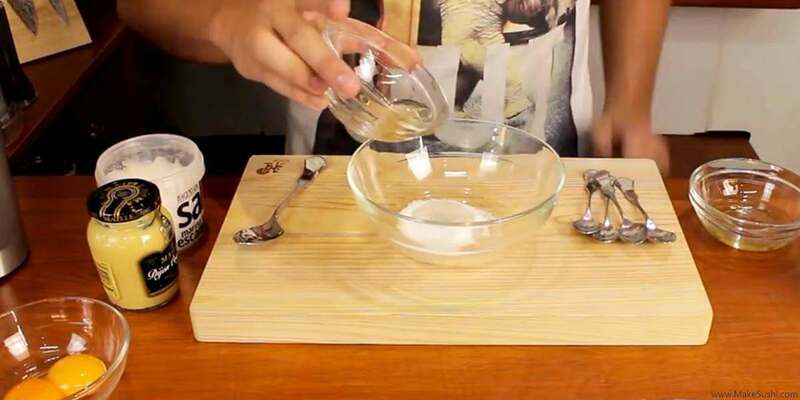 Sprinkle a pinch of sea salt over the mixture and stir well using a wooden or metal spoon to combine the flavors. Continue stirring thoroughly until the sugar and salt are fully absorbed into the liquid. Put two egg yolks in a food processor, followed by the contents of the mixing bowl. Blend at full speed for 20-30 seconds, or until the egg yolks have fully liquidized. Switch on the processor again at low speed. While the contents are blending, gradually add 250 ml of canola oil. 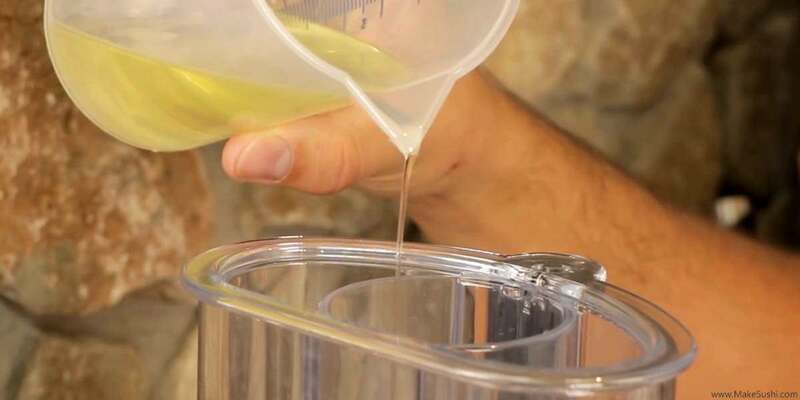 Add the oil a little at a time, as this allows it to be gradually incorporated into the mixture. Now gradually add 75 ml of warm Dashi stock until the correct consistency is achieved. Kewpie mayonnaise is characteristically thinner and creamier than Western mayonnaise. If the mixture is still too thick, add additional Dashi stock to achieve a thinner consistency. 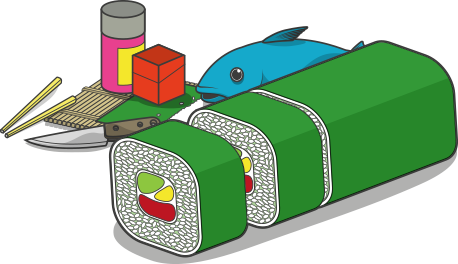 Note: if you intend to use the Kewpie mayo for decoration or piping onto sushi rolls, you may want to use a little less Dashi stock.